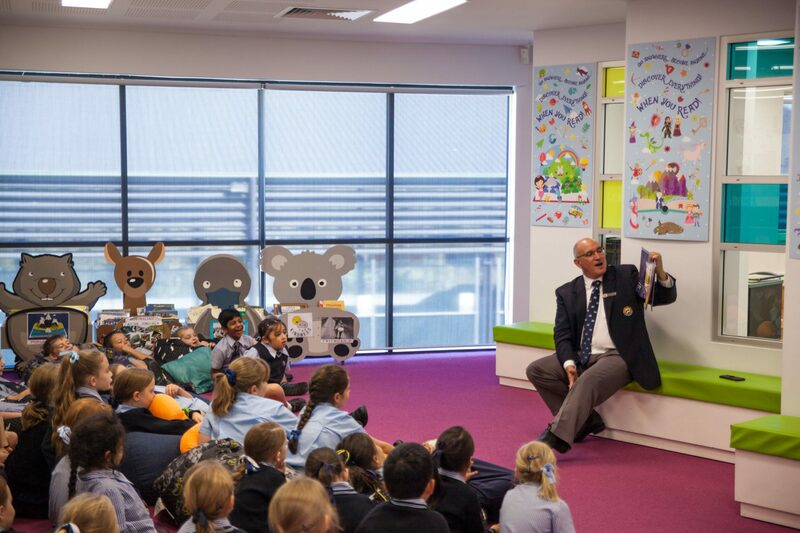 This week saw over 720 Sheldon College students ranging from Kindergarten through to Year 6 participate in National Simultaneous Storytime (NSS) which included more than 900 000 participants throughout Australia and New Zealand #NSS2018. 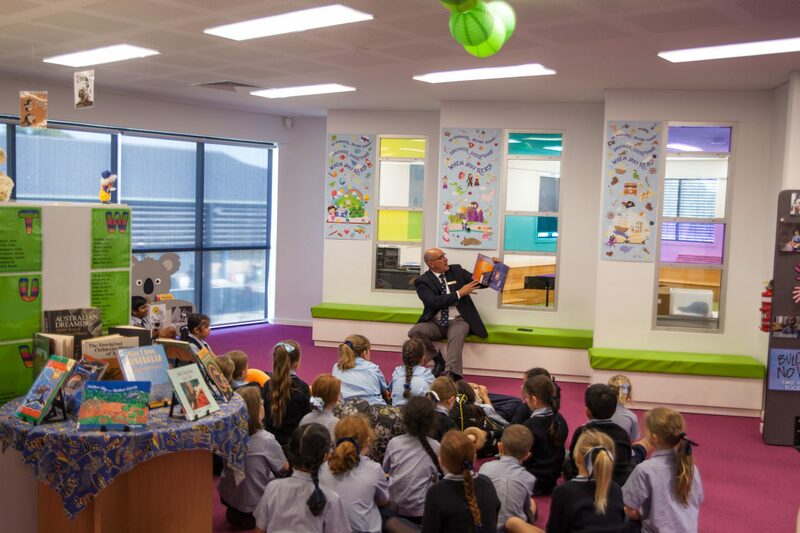 It is mind-blowing to think that approximately 1 million children all over Australia and New Zealand were reading the same story at the same time, with this year’s story being Hickory Dickory Dash by Tony Wilson and Laura Wood. Imagine the diversity of children, settings, and readers being unified by NSS! Sharing a story with a large group of students from many year levels shows students that reading is a fun activity. 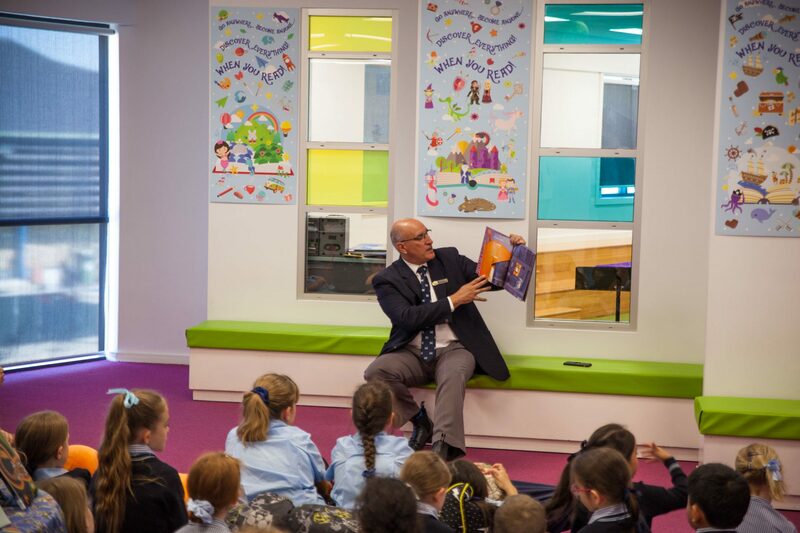 When the story is read by a role model such as our very own Mr Lord, whom the students look up to, but do not normally associate with stories, they are inspired to read. Reading for pleasure has enormous benefits, not just for literacy and the associated educational benefits, but also for developing empathy and social skills. 2018 marks the fifth consecutive year that Sheldon College students have participated in NSS. This year, as in previous years, our Junior Learning Centre (JLC) has facilitated a fun-filled and educational week-long program. Students had the opportunity to participate in a nursery rhyme competition which required them to produce a creative video of themselves reciting a nursery rhyme. 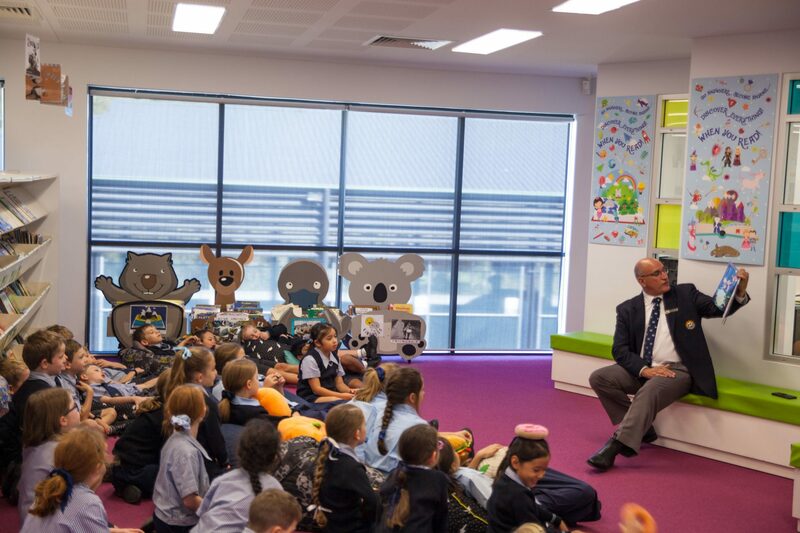 There was a VIP guest reading session hosted by Mr Lord, screening of Jay Laga’aia’s reading at #NSS2018 and lots of fun-filled and interactive activities throughout the week.